This tweak changes the URL structure of Divi Projects from /projects/ to whatever you want like /photos/. It’s an easy fix that requires little effort. You can take a shortcut that makes this tweak super easy, but not future proof. I would recommend the long version, especially if this is for a client’s website. Just so we are all on the same page, when you create a new project in Divi, the URL structure of the project looks like this: www.example.com/projects/. That’s if you have pretty permalinks turned on. The tweak below allows you to change projects to anything you want to better match your desired URL structure. *Updated – I have found a new way to replace the ‘project’ slug without overwriting the entire function, by creating a filter. Same result, but less code. 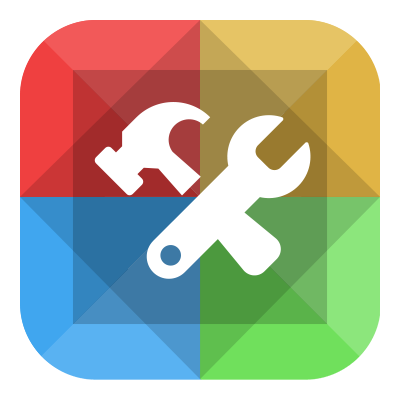 I have updated the tweak below with the new method. If you do not have a child theme set up with a functions.php file, follow this guide. Change project to whatever you would like the new slug to be and save the file. Go to the WordPress dashboard->Settings->Permalinks and click the update button. That’s it. Any current and all new project URLs will be replaced with the new slug. That’s the long way and is better because when a new version of Divi is released, this will not be overwritten. It’s not completely future-proof though. If Divi changes this function in a new release, you may have to update the code to reflect those changes in the file we just edited. 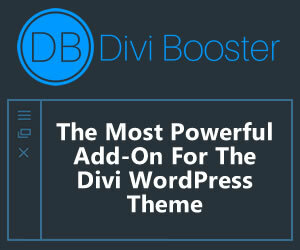 If the above method sounds like too much work, the easier method is to simply make this change in the Divi theme. Change projects to whatever you would like the new slug to be and save the file. If you update Divi in the future, you will have to make this change again because it will almost certainly be overwritten by the update. * As others have pointed out in the comments, you may have to go to Settings->Permalinks and click on the save changes button for the slug to change. any hack for that ? Sorry Tii. I have no experience with the polylang plugin. Try saving your permalinks and see if that does the trick. This seems not to work for current projects. When putting this code into the functions.php wordpress can nomore find my old projects. Make sure permalinks are set to something other than “Default”. You may have to click “Save Changes” again even if they are currently set to Default. First off: I know I should have used a child theme, but it’s a bit too late now for me to completely rebuild the site! I will do better next time, promise. My question: in using the “quick and dirty fix” of simply changing the word Projects to (in my case) Menu – it doesn’t work. Using the “new” URL with the word Menu in it just goes to a 404, but when I manually type in the old url with the word project, it goes to the page as always – so the page is still there, but the URL has not changed. Did I miss something? The only place this fix seems to be changing the url is in the page editor view. why not this? add_filter(‘et_project_posttype_rewrite_args’,’custom_rewrite_args’); ? Thanks for the suggestion Ray. Most of the tweaks I post are for my own sites and I share with others to save them the trouble and work. I would certainly not consider myself an advanced programmer. If you have a better way, please share with me and others and I’ll test the results and edit the original post. Thanks! I tried : add_filter(‘et_project_posttype_rewrite_args’, array(‘slug’ => ‘projet’) but it doesn’t work :(. Can you, please, give us a working example ? I’ve seen that you’ve implemented this functionnality on your website by replacing the permalink structure “project” by “plugins” ;). I used this on my site to change projects to winners, and it broke all of my project links. I deleted the code and everything went back to projects, and works. Help? Would love to make this work. Figured it out, you need to reset your permalinks by hitting ‘save’ in the permalinks setting. Thanks Andrew. Hopefully this helps others who are having issues. Thank you – It worked for me. I am using the child theme. At the beginning of this post, it shows Divi version 2.0. Does this tweak work for the latest Divi version 2.2? Thanks. Yes, I just tested and it does work with Divi 2.2. I tried add_filter(‘et_project_posttype_rewrite_args’, array(‘slug’ => ‘projet’) with Divi 2.2 and it didn’t work. Brad, Glad I found your instructions. I had a few existing “projects” prior to making this change, Do you think any 301 redirects are required for the Google? Hey Brian. Yes, I would 301 redirect all projects that have already been indexed by Google as well as the /projects/ page itself. Thank you this great tweak and it works like a charm. However, I am having an issue and wanted to check if you can help. After changing the Slug when I open the portfolio page on my website it given me a Blog type layout, but I want the page(Portfolio) which I have created using the Page Builder to display instead of the Default page which Divi theme uses. Is there any way to do that? Hey Robby. I hadn’t even noticed this before but you are correct. Whether you change the slug to another word or not in the functions.php file, Divi will not load the page you create. So if you leave it as ‘projects’ and create a page with the permalink /project/, Divi loads an archive page. You can create a page template called archive-project.php and copy the contents of the page.php file, but it will not use the page builder so you’ll have to put your design in html in the template. 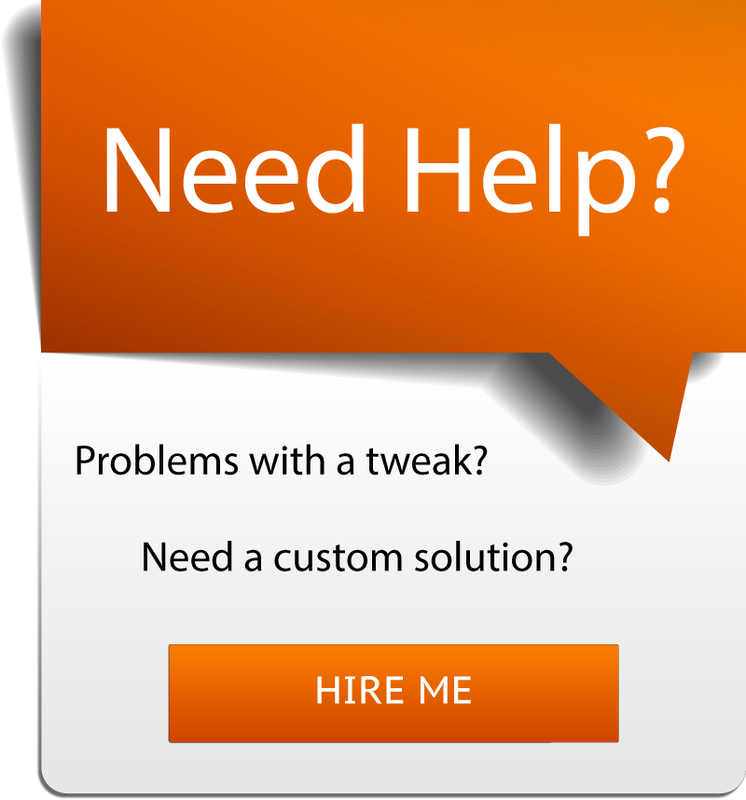 I’m working on a better solution but in the meantime, you can try the page template solution. Otherwise, if you change your page permalink to anything other than the singular version of the slug you define in the functions.php file, it will work. So if your slug is projects, change the page permalink to /projects/. Not /project/. For portfolio, change the permalink to /my-portfolio/ and it will work. On the fourth line in the code above, if you change ‘Projects’ to whatever you want, it changes the breadcrumb. It doesn’t appear to have any adverse effects but I just did a quick check so no guarantees. hey. may be off topic. but is there any chance to create a portfolio which after clicking on each image will take you NOT to a project but an external link? We are showing a lot of projects which are externally hosted and it just makes another step to add. < ?php $thumb = ''; and change it to this: with our new variable < ?php echo $external_url; ?>. Within each of your project posts, add a new custom post type called ‘external_url’ and for the value just put the external URL you want to use. Hope this helps! If confused I can write up a full tweak for it. How and where exactly do I add a new custom post type? Thanks Mark, sorry for the confusion. I believe that comment applied to the old, more complicated method of changing the project URLs. I have a plugin that does exactly what you’re looking for but with posts, not projects: http://www.diviplugins.com/portfolio-posts-pro-plugin/ I have plans in the near future to add support for multiple custom post types including projects. This works and the z-index 5 of the pseudo class sits on top of the z-index 4 of the link, covering it. But it also sits on top of the text within the link, making it look faded. The child selector “even” would apply to all even numbered projects but you could adjust that to your needs. By far the easiest option. Otherwise you’ll have to go in and add a php if statement in the portfolio function removing the tag if a custom field is present. And then just add the custom field to projects you want the link removed from. You could also add your CSS class in here if you wanted to do anything else with these “mood pictures”. Hope this helps! Thanks for this! Works perfect. following problem: I renamed ‘projects’ into ‘references’. the portfolio url is domain.com/references. the single reference url should be domain.com/references/single-reference. the portfolio layout is not displayed as long as the site slug and the projects slug have the same name. any idea? Hi Flo. Can you provide a URL for me to look at so I can understand the problem better? I’ve got the same problem. How did you solved this problem? Thank you! And also If i am adding new code like the above to my PHP file… where do I put it? I’m assuming I don’t override the below!? // Recommended way to include parent theme styles. You can create a child theme using these instructions. Or using the codex method. As far as removing project slug, ET recommends either this plugin: https://wordpress.org/plugins/remove-slug-from-custom-post-type/ or this :https://wordpress.org/plugins/wp-no-category-base/installation/ I have not tried either so cannot vouch for them. Having followed the instruction to setup a child theme and successfully managed to change project to my chosen format. I am experiencing an odd issue and wondered if you had come across it. While operating in the child theme on the cms, saving changes doesn’t seem to complete and instead I get a white screen with ‘tag:’, written in the top left corner, I also can’t move past that point and have to hit back on the browser, which means I lose the changes I am trying to make. Ultimately I’m having to change back to the main theme to make content updates. Sorry for such a late reply. Are you still having problems with this? I have not tested this tweak with Divi 2.4+. Are you using any version of Divi 2.4 or up? Hey, thanks very much for this. Helpful tip for people – this doesn’t work with the One Click Child Theme plugin. Something about the files the plugin creates messes with the code here. Creating a child theme manually using the tutorial here and on elegant themes website is super easy and it works. I’m super stoked about this. Thanks again. Thanks for this! It worked perfectly and saved me lots of time trying to figure this out. Works great! Thank you for this. Any chance this could be conditional where the slug is changed based on the Project Category? did you find a solution for this? i’m looking for the same. This is a great tip, do you also know how I would rename all the mentions of ‘Projects’ in the admin area of WordPress? I am looking to change Projects to Members and would like to also rename it in the admin area for he client’s ease of use. It was very useful, now I have my personalised slug for projects! Thanks a lot! Is there a processing time or am i f#%*ed? So maybe next time I should not copy in the first en final line (PHP). Site is running again. Projects Slug has changed. PERFECT! New question.. Can I make different slugs for Projects? After installed and activated, go to your permalink settings. The plugin will add a new section for projects. Change /%postname%/ to /%project_category%/%postname%/. Save your changes. Then just repeat the process for every new category. Create another page. Make the parent page the /case-studies/ page. And then add the portfolio module and limit it to only that category. Hope this was more helpful than confusing! I’ve also tested this method with my free plugin that creates a new custom post type and everything works. Just replace “Case Study” with the new custom post type and in the permalink, replace /%project_category%/ with the name of the taxonomy you create with my plugin. Then on the category pages, you could use my other plugin to display the new custom post type. I just purchased your portfolio post pro and it was a breeze to set up. Is there a way to update the project_category slug? Appreciate any leads you can give me. Thanks Jules! Glad you like the plugin. The best option IMO would be to create your own custom post type. It’s VERY easy and I have a free plugin that you can use as a template. You literally could do a search and replace on the plugin file and replace the words “recipes” and “recipe” in the plugin with “book review” and “book reviews” and it would work. The only exception would be the slug rewrite would need to be “book-review” (include the dash since it’s a URL). The plugin also creates a category “type” and you could replace that with “review-category”. The best part is that the Portfolio Posts Pro plugin you purchased already will display these custom post types just like they do the projects and the posts. It works on ANY custom post type. 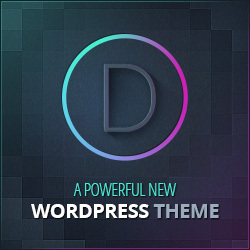 Worked perfectly using Divi Builder 2.6.4 and the latest WordPress. I’m trying to replace the /project/ in the url to whatever category is used. Hi after I try to dd that code to functions.php, I am getting this error “Parse error: syntax error, unexpected ‘<' in /home/cadmicroadmin/cadmicro.com/wp-content/themes/Divi/core/functions.php on line 53È and now I cant login to my homepag. Give me this errorÈParse error: syntax error, unexpected '<' in /home/cadmicroadmin/cadmicro.com/wp-content/themes/Divi/core/functions.php on line 53È. Please help. Hi, i have same problem with you. Now, its working for my clients website. Thanks for share, i will try to use it first. Thank you – it’s just the way I need it. I tried this (having no experience with code what so ever) and it messed up my site. I was able to restore a back-up but I’m now quite hesistant to try this again. Do you offer something like live support where you can have a look at my site or something? Thank you very much, this works perfectly!! For anyone who has trouble with the code, you should remove the first and last line as it’s already in your functions file. at the bottom. Any code should be between these (but not double) and it will work :). At this point I changed ‘project’ to ‘overige-koppelingen’ with this code, very helpful! But can I just change it to koppelingen/overige-koppelingen ? Don’t want to brake down my site because of a mistake in the code with the /. And this works perfectly but if I use Breadcrumbs its still "projects"! Same for me, I use yoast beradcrumbs and it is still “projects” in the breadcrumbs although the url is the slug I chose (members). How is it possible to change the slug in teh breadcrumbs too ? Same for me. Do you have a workaround for that? Works great. Although the word “Projects” in the left column admin still says “Projects” and not “Bio” (which is what I changed it to. The permalink says /bio/ though, so that’s good. Thanks for the update. The function and filter worked fine for me. Elegant solution if you just need the slug to be modified. This modification crashed my site. Doh. I’m using a child theme, have latest version of Divi (3.2.2) installed. When I add suggested code in this post to the bottom, it hangs for about 30 seconds then crashes the website. Fortunately I was able to restore a backup functions.php version via FTP, but the site was down. Does the code no longer work in 2018 with latest version of Divi, do I have a conflict? Well a good portion of my php code was stripped from my comment, so it’s not showing all of it. Oh well. Definitely no longer working in latest release of Divi, just tried the code again without the opening & closing php tags. Thank you, this helped me out! It worked perfectly! Thanks so much. Was very easy to implement. Yes! Finally something about Field Mill. No go for me. The code above breaks the divi based site immediately. I am looking for a solution. Hi, thanks for the code. How can I rewrite the project_tag slug too?